Once students master the basics of arithmetic—Addition, Subtraction, multiplication, division—they will encounter more complex problems in which more than one operation will be needed to solve the problem. 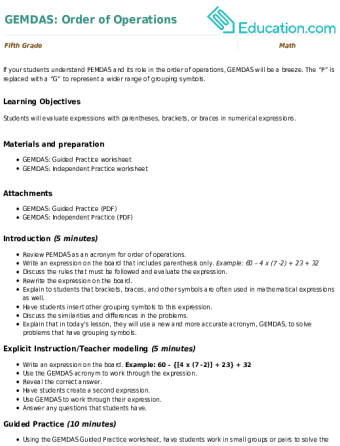 The order of operations is an important concept that must be mastered, for it is the foundation on which the mathematical expression rests. Solve the problem in the wrong order and the answer will also be wrong. Our resources will teach your student how to follow the order of operations and set them up for understanding more complex equations. 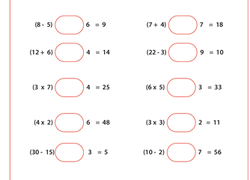 Reinforce students’ understanding of PEMDAS by practising the order of operations and using parentheses in this exercise. Get maths practise off the bench to calculate percentages, read graphs, add fractions and round decimals to bring maths skills all the way home. 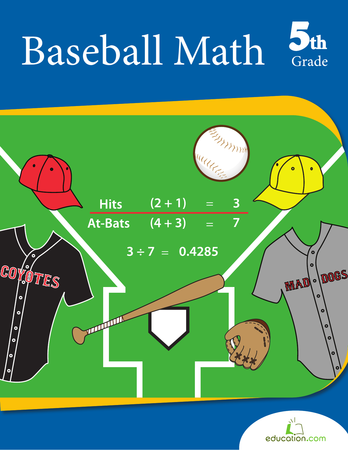 This book knocks one out of the park for baseball lovers. 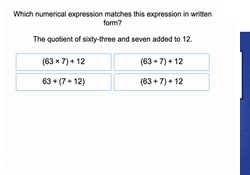 Get ready for algebra with some basic order of operations practise problems. After your child solves the equations, he'll have a picture to colour in! 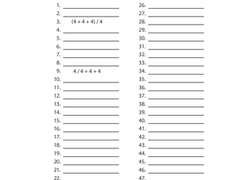 Hunting for a worksheet that practices basic arithmetic? This printable works with basic computation and order of operations. 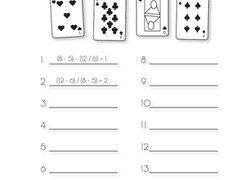 Practise the rules of the order of operations with a logic puzzle! Write in the missing parentheses to make each equation true. Practise beginning algebra with an order of operations puzzle! Put in the missing parentheses to make each equation true. 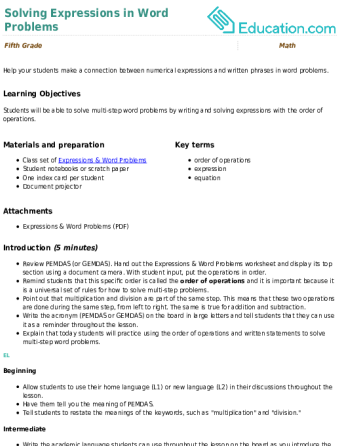 The order of operations is a series of rules that tells us which procedures to perform first when evaluating a mathematical expression that has more than one operation (addition, subtraction, multiplication or division). The order of operations is a universal convention that’s followed in mathematics and was established as far back as the 1500s! According to the order of operations, multiplication is done before addition. 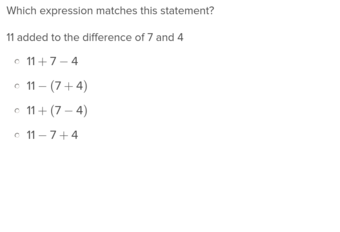 To make this problem easier to visualize, set off the multiplication problem with parentheses, so we know to solve that first. If we didn’t follow the order of operations and just solved the equation from left to right, we would get: (2 + 3) x 4, or 5 x 4 = 20. This answer would be incorrect. 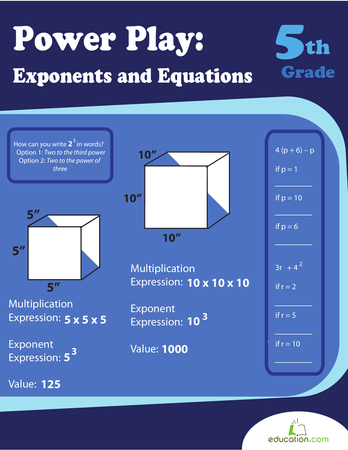 Let’s look at another example with an exponent, which students learn around fifth or sixth grade. 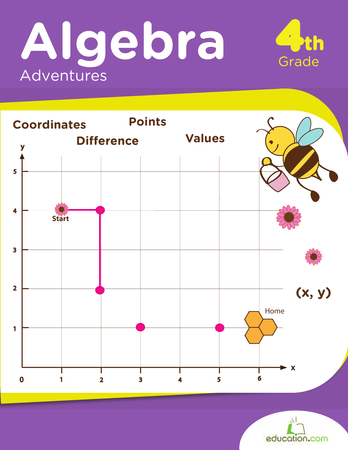 Teach your students the order of operations using our worksheets and resources and they’ll have a solid foundation for more advanced algebraic operations!